The JIA83 Foundation Hosted Its Biggest Military Moms Baby Shower to Date! HOME > NEWS > The JIA83 Foundation Hosted Its Biggest Military Moms Baby Shower to Date! On Sunday, July 23, the Jackson in Action 83 Foundation hosted its 4th Annual Military Moms Baby Shower presented by the DeBartolo Family Foundation and Chicco at Palma Ceia Golf & Country Club in Tampa. It’s biggest one yet! At the event, 40 military moms went home with more than $2,150 worth of items to help them welcome baby, including a Chicco car seat, stroller, and a pack ‘n play, Carousel Designs crib bedding, Timi & Leslie diaper bag, Moms on Call book and blanket, Dr. Brown’s bottle and pacifier set and body pillow, necklace from Ackerman Jewelers, Exergen thermometer, Halo sleepsack, gift certificate to Cask Social Kitchen, tickets to the Lowry Park Zoo and The Florida Aquarium, and much more! Families also took home more than $3,000 in raffle prizes, including a full-sized crib, newborn consultations, Rooms To Go gift card, newborn photography session, and more. The military families invited to the event represent various commands at MacDill Air Force Base, as well as the Coast Guard Air Station Clearwater. Command leadership and family resource coordinators refer young enlisted families to be invited to the event and preference is given to first-time parents and those facing financial hardships. 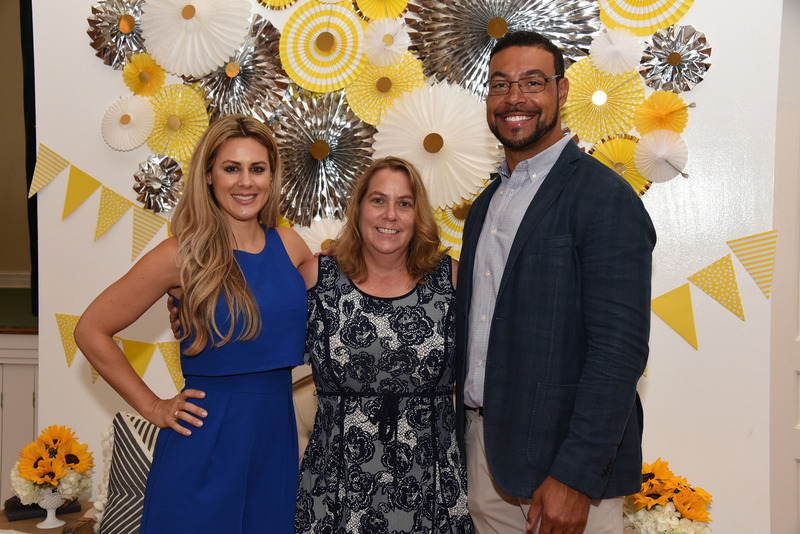 Many sponsors are to thank for making this year’s shower the biggest and best one yet, including the DeBartolo Family Foundation, Chicco, Tampa Bay Buccaneers’ Women of Red, Christian Family Movers, and Stepp’s Towing Services. View all the photos from the shower here!